Unrivaled knowledge and years of experience. Industry leader in soft story retrofits and ADU design. Mercury Engineering Group is the preeminent seismic engineering firm in San Francisco and throughout the Bay Area. We have the experience and knowledge to assist residential and commercial building owners with projects ranging from seismic retrofits and garage additions to extensive remodels and new construction. In response to the recent Mandatory Soft Story Retrofit Program, Mercury Engineering Group specializes in Seismic Retrofitting and the addition of Accessory Dwelling Units (ADU’s). As one of the first engineering firms to begin submitting permits under the new ordinance, Mercury Engineering Group is adept at navigating the permit process. 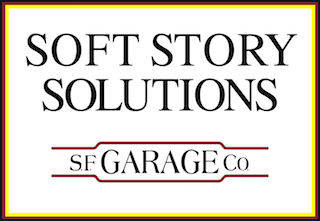 We collaborate with our partner contracting firm, SF Garage Company, offering turnkey solutions to engineering, permitting and construction needs. Mercury Engineering Group has helped home-owners throughout San Francisco design and build innovative parking solutions for over 20 years. Add value to your home and eliminate the time and stress of street parking. In one of the most competitive housing markets in the U.S., adding a secondary unit to an existing residential building has become easier than ever. The recent passage of Ordinance 0162-16, allows some buildings to add ADU's while waiving certain Planning Department restrictions. As a Bay Area company, Mercury Engineering Group has worked on a wide variety of remodel projects. Mercury engineers are sensitive to all aspects of a remodel including the location, age and style of the building, desires of individual property owners and creating a value engineered project. Leaders in innovative design, Mercury engineers pride themselves on their up to date knowledge of building codes and regulations. Your project will be designed precisely to the standards required by the International Building Code without compromising the style or vision for your final project. When you live in San Francisco, responsible home ownership means preparing for earthquakes. As experts in seismic design, Mercury Engineering Group can help ensure the safety and security of your home and your family with the latest technology in earthquake-resistant design. Getting a project off the ground and approved by the proper departments can be a time consuming and frustrating process. The professional expediters at Mercury Engineering Group have the experience to get your project from blue prints to construction faster and with fewer delays along the way! Please include a brief description and location of your project. Phone numbers are welcome for a more direct response but not required.